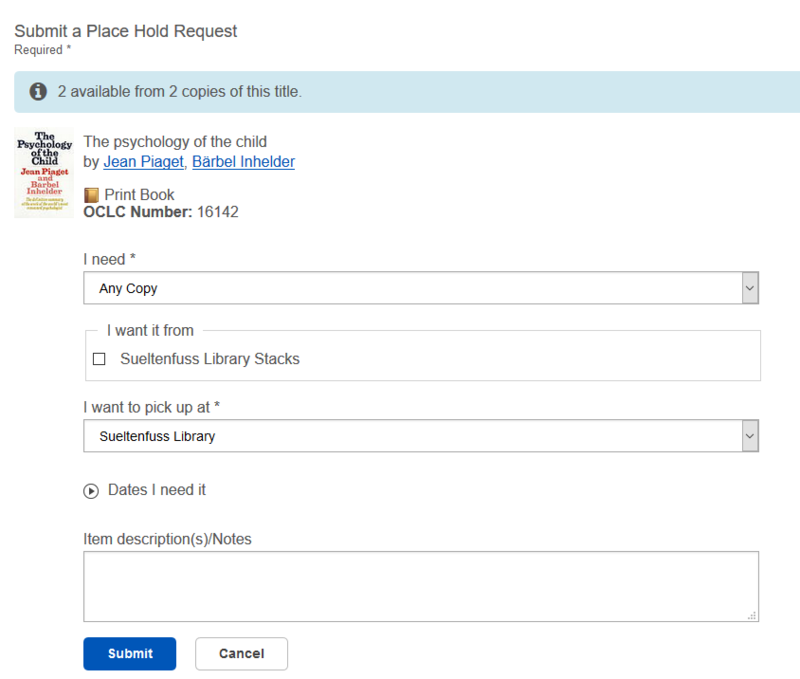 To place a hold on a book, start by locating the book in the library's Books and Media Catalog. On the Place Hold page, log in with your OLLU username and password (the same login you use to access the Portal). Then click the Place Hold button.